Experience a unique insight into India’s most historic region where ancient and colonial history mingles with breathtaking natural beauty. Taste and smell the intense flavours of Goa. Journey from the coast and beaches up river to the mountain forests. 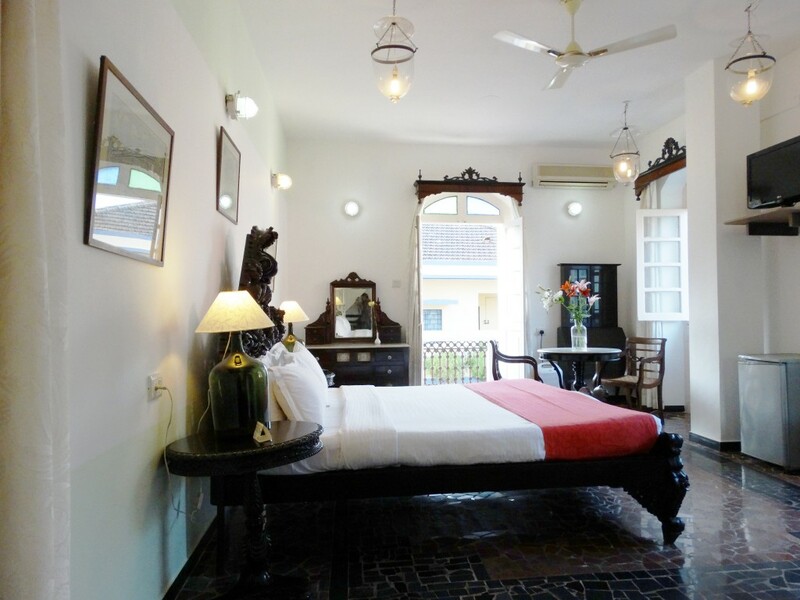 Arrive at the Panjim Inn, a beautifully restored 19th century mansion in Old Goa. Experience the Portuguese colonial past in the Latin Quarter. From the Verandah Restaurant you look down on the life of the town and are introduced to Goan’s unique, local cuisine with its intense flavours and lots of fresh seafood. Live the history of Old Goa, visit the Indo-Portuguese churches, convents, and forts in the old quarters. At Bom Jesus Basilica view the relics of St Francis Xavier, the Christian’s patron saint of missionaries. Cruise on the River Mandovi. Delight at the aromatic fragrances at a spice village on the tour. Goa’s rich river culture with fishing villages, beaches, inlets, coves and mangroves is easy to explore. Gently paddle your modern, sit-on-top kayak to enjoy your own perspective on the Goan coastline. Wildernest resort offers a breathtaking panorama of Goa from the mountain forest overlooking the Vazra Falls. Here you enjoy the mountain forests of the region, whether you want to hike the trails or float aimlessly in their infinity pool soaking up the magnificent views. All rooms have valley views. The restaurant provides more glorious Goan flavours. You won’t be able to say goodbye. Goa Arrive Goa.Check into Hotel and relax.Proceed for an evening Heritage Walk followed by Dinner.Overnight at Hotel Panjim Inn. Goa Morning breakfast.After breakfast, proceed to a Beach resort at Calangute or Candolim.Overnight at resort. Goa Morning breakfast.After breakfast, full day city tour, covering North and South Goa including boat cruise on River Mandovi.Overnight at resort. Goa Morning Breakfast.Day at leisure.Overnight at Resort. Goa / Out Morning Breakfast.Proceed to airport to board flight to next destination. Exclusive arrival gift made by a local community project – Dhonk, supporting tiger conservation. All transfers to or from hotels, airport, sight-seeing city tours, drives by air conditioned car with basic English speaking driver. English speaking Local guide for day sightseeing. ** Pricing: From $1,019AUD per person twin share. You are required to apply for a tourist visa for travel to India. Click here for more information. Travel insurance is mandatory for any tours booked with Mantra Wild. We are happy to offer you a considerable discount of 20% for insurance.